It covers methodological aspects of the error in predictive models, how to measure it through cross-validation data and its similitude with bootstrapping technique. And how these strategies are used internally by some predictive models such us random forest or gradient boosting machines. There is also a chapter about how to validate models when time is involved, which is similar to classical train/test validation. Once weâ€™ve built a predictive model, how sure we are about its quality? Did it capture general patterns -information- (excluding the -noise-)? 4.1.1.1 What sort of data? It has other approach rather than the one covered on Out-of-Time Validation. This approach could be used even when there is not possible to filter cases by date, for example having a dataâ€™s snapshot at a certain point of time, when no new information will be generated. For example some health data research from a reduced amount of people, a survey, or some data available on the internet for practicing purposes. Itâ€™s either expensive, not practical, unethical or even impossible to add new cases. The heart_disease data coming in funModeling package is such an example. When a model is trained, it just sees a part of reality. Itâ€™s a sample from a population that cannot be entirely seen. There are lots of ways to validate a model (Accuracy / ROC curves / Lift / Gain / etc). Any of these metrics are attached to variance, which implies getting different values. If we remove some cases and then fit a new model, weâ€™ll see a slightly different value. Imagine we build a model and achieve an accuracy of 81, now remove 10% of the cases, and then fit a new one, the accuracy now is: 78.4. What is the real accuracy? The one obtained with 100% of data or the other based on 90%? For example, if the model will run live in a production environment, it will see other cases and the accuracy point will move to a new one. So what is the real value? The one to report? 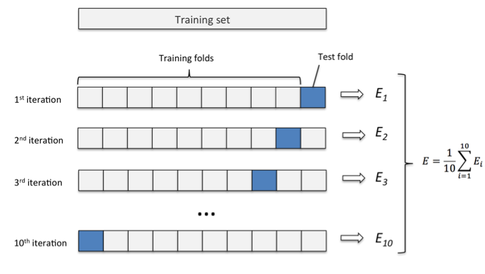 Re-sampling and cross-validation techniques will average -based on different sampling and testing criteria- in order to retrieve an approximation to the most trusted value. There is no sense in removing cases like that, but it gets an idea of how sensible the accuracy metric is, remember weâ€™re working with a sample from an unknown population. If weâ€™d have a fully deterministic model, a model that contains 100% of all cases we are studying, and predictions were 100% accurate in all cases, we wouldnâ€™t need all of this. Splits the data into random groups, letâ€™s say 10, equally sized. These groups are commonly called folds, represented by the 'k' letter. Take 9 folds, build a model, and then apply the model to the remaining fold (the one which was left out). This will return the accuracy metric we want: accuracy, ROC, Kappa, etc. Weâ€™re using accuracy in this example. Repeat this k times (10 in our example). So weâ€™ll get 10 different accuracies. The final result will be the average of all of them. This average will be the one to evaluate if a model is good or not, and also to include it in a report. There 150 rows in the iris data frame, using caret package to build a random forest with caret using cross-validation will end up in the -internal- construction of 10 random forest, each one based on 135 rows (9/10 * 150), and reporting an accuracy based on remaining 15 (1/10 * 150) cases. This procedure is repeated 10 times. Summary of sample sizes: 135, 135, 135, 135, 135, 135, ..., each 135 represents a training sample, 10 in total but the output is truncated. The min/max accuracy will be between ~0.8 and ~1. The mean is the one reported by caret. 50% of times it will be ranged between ~0.93 and ~1. The sum of Bias, Variance and the unexplained error -inner noise- in data, or the one that the model will never be able to reduce. These three elements represent the error reported. 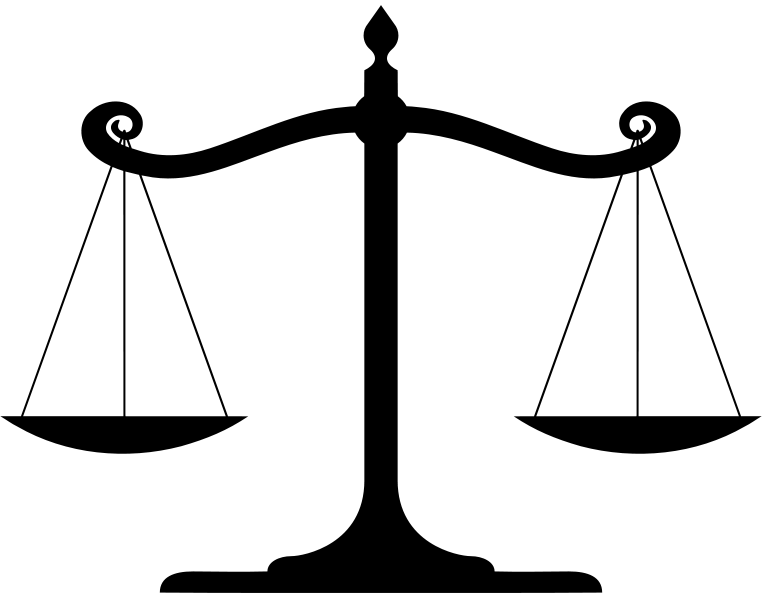 4.1.4.1 What is the nature of Bias and Variance? 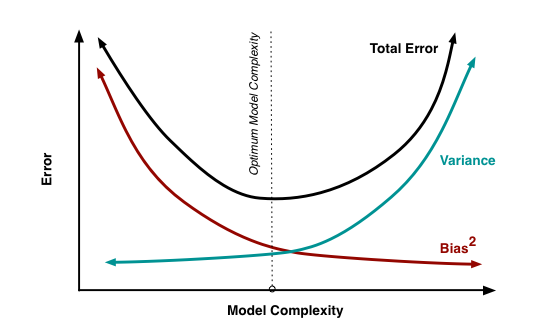 Model too complicated: Letâ€™s say we have lots of input variables, which is related to high variance. The model will overfit on training data, having a poor accuracy on unseen data due to its particularization. Model too simple: On the other hand, the model may not be capturing all the information from the data due to its simplicity. This is related to high bias. Not enough input data: Data forms shapes in an n-dimensional space (where n is all the input+target variables). If there are not enough points, this shape is not developed well enough. More info here in â€œIn Machine Learning, What is Better: More Data or better Algorithmsâ€� (Amatriain 2015). Image credit: Scott Fortmann-Roe (Fortmann 2012). It also contains an intutitive way of understanding error through bias and variance through a animation. Bias and variance are related in the sense that if one goes down the other goes up, so itâ€™s a tradeoff between them. A practical example of this is on Akaike Information Criterion (AIC) model quality measure. AIC is used as a heuristic to pick the best time series model in the auto.arima function inside forecast package in R (Hyndman 2017). It chooses the model with the lowest AIC. 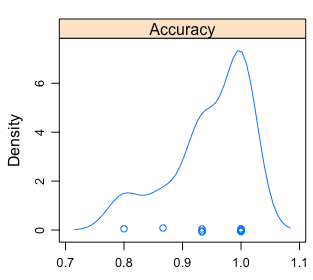 The lower, the better: The accuracy in prediction will lower the value, while the number of parameters will increase it. Bootstrapping is mostly used when estimating a parameter. Cross-Validation is the choice when choosing among different predictive models. Note: For a deeper coverage about bias and variance, please go to (Fortmann 2012) and (Amatriain 2015) at the bottom of the page. It depends on the data, but itâ€™s common to find examples such as 10 fold CV, plus repetition: 10 fold CV, repeated 5 times. Other times we find: 5 fold CV, repeated 3 times. And using the average of the desired metric. Itâ€™s also recommended to use the ROC for being less biased to unbalanced target variables. Since these validation techniques are time consuming, consider choosing a model which will run fast, allowing model tunning, testing different configurations, trying different variables in a â€œshortâ€� amount of time. Random Forest are an excellent option which gives fast and accurate results. More on Random Forest overall performance on (Fernandez-Delgado 2014). Another good option is gradient boosting machines, it has more parameters to tune than random forest, but at least in R itâ€™s implementation works fast. Gradient boosting machine focuses on minimizing variance. More info in â€œGradient boosting machine vs random forestâ€� (stats.stackexchange.com 2015). Tweaking input data by transforming and cleaning it, will impact on model quality. Sometimes more than optimizing the model through its parameters. Expand this point with the Data Preparation chapter. 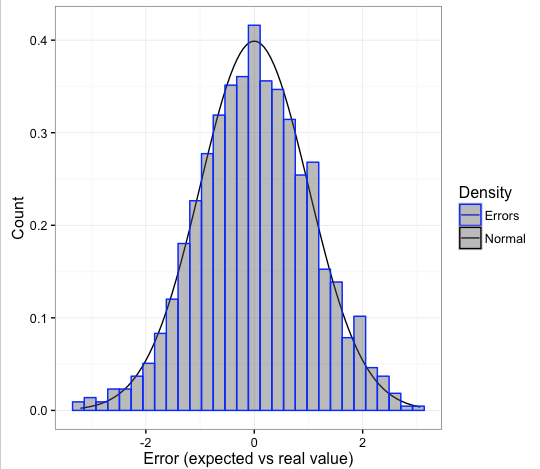 Validating the models through re-sampling / cross-validation helps us to estimate the â€œrealâ€� error present in the data. If the model runs in the future, that will be the expected error to have. Another advantage is model tuning, avoiding the overfitting in selecting best parameters for certain model, Example in caret. The equivalent in Python is included in Scikit Learn. The best test is the one made by you, suited to your data and needs. Try different models and analyze the tradeoff between time consumption and any accuracy metric. These re-sampling techniques could be among the powerful tools behind the sites like stackoverflow.com or collaborative open-source software. To have many opinions to produce a less-biased solution. But each opinion has to be reliable, imagine asking for a medical diagnostic to different doctors. The cross-validation approach can also be applied to time dependant models, check the other chapter: Out-of-time Validation. Once weâ€™ve built a predictive model, how sure we are it captured general patterns and not just the data it has seen (overfitting)?. Will it perform well when it is on production / running live? What is the expected error? If itâ€™s generated over time and -letâ€™s say- every day we have new cases like â€œpage visits on a websiteâ€�, or â€œnew patients arriving at a medical centerâ€�, one strong validation is the Out-Of-Time approach. Imagine we are building the model on Jan-01, then to build the model we use all the data before Oct-31. Between these two dates, there are 2 months. When predicting a binary/two class variable (or multi-class), itâ€™s quite straightforward: with the model weâ€™ve built -with data <= Oct-31- we score the data on that exact day, and then we measure how the users/patients/persons/cases evolved during those two months. Since the output of a binary model should be a number indicating the likelihood for each case to belong to a particular class (Scoring Data chapter), we test what the model â€œsaidâ€� on Oct-31 against what it actually happened on â€œJan-01â€�. 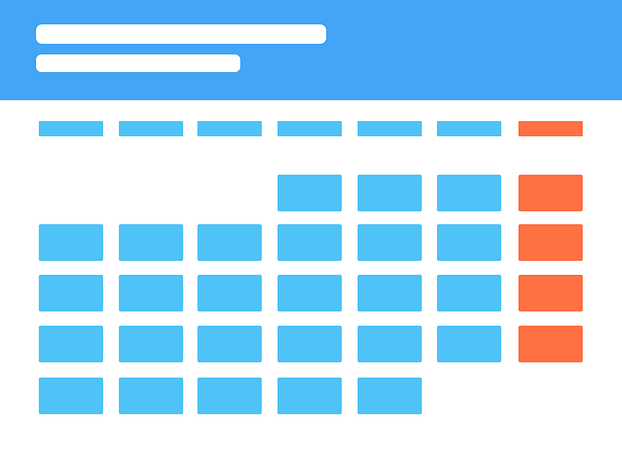 Following validation workflow may be helpful when building a predictive model involving time. This analysis explained in another chapter (Gain & Lift) and it can be used following the out-of-time validation. Keeping only with those cases that were negative on Oct-31, we get the score returned by the model on that date, and the target variable is the value that those cases had on Jan-1. Now the common sense and business need is more present. A numerical outcome can take any value, it can increase or decrease through time, so we may have to consider these two scenarios to help us thinking what we consider success. This is the case of linear regression. Example scenario: We measure some web app usage (like the homebanking), the standard thing is as the days pass, the users use it more. Predicting the concentration of a certain substance in the blood. 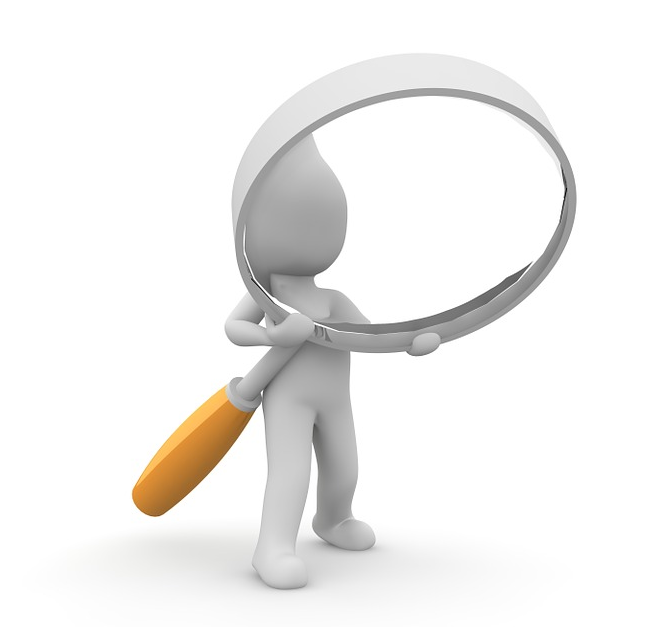 We also have in these cases the difference between: â€œwhat was expectedâ€� vs. â€œwhat it isâ€�. This difference can take any number. This is the error or residuals. The error should be around 0 -the model must tend its error to 0-. The standard deviation from this error must be finite -to avoid unpredictable outliers-. There has to be no correlation between the errors. Normal distribution: expect the majority of errors around 0, having the biggest ones in a smaller proportion as the error increases -likelihood of finding bigger errors decreases exponentially-. Out-of-Time Validation is a powerful validation tool to simulate the running of the model on production with data that may not need to depend on sampling. The error analysis is a big chapter in data science. Time to go to next chapter which will try to cover key-concepts on this: Knowing the error. Make sure we have the latest funModeling version (>= 1.3). First, each case is ordered according to the likelihood of being the less representative class, aka, score value. Then Gain column accumulates the positive class, for each 10% of rows - Population column. If we donâ€™t use a model, and we select randomly 20%, how many users do we have to reach? Well, 20%. That is the meaning of the dashed line, which starts at 0% and ends at 100%. Hopefully, with the predictive model weâ€™ll beat the randomness. The Lift column represents the ratio, between the Gain and the gain by chance. 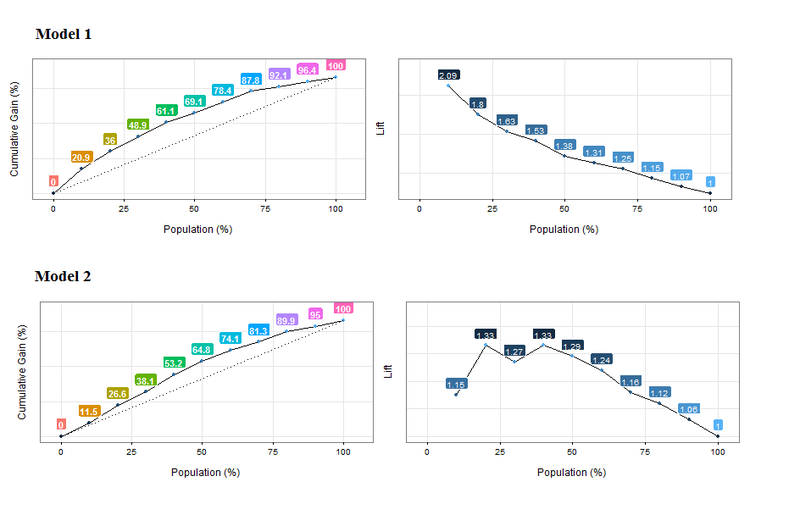 Taking as an example the Population=20%, the model is 1.8 times better than randomness. The cut point allows us to segment the data. In a good model, the gain will reach the 100% â€œat the beginningâ€� of the population, representing that it separates the classes. When comparing models, a quick metric is to see if the gain at the beginning of the population (10-30%) is higher. As a result, the model with a higher gain at the beginning will have captured more information from data. Cumulative Gain Analysis: Model 1 reaches the ~20% of positive cases around the 10% of the population, while model 2 reaches a similar proportion approaching the 20% of the population. Model 1 is better. Lift analysis: Same as before, but also it is suspicious that not every lift number follow a decreasing pattern. Maybe the model is not ordering the first percentiles of the population. Same ordering concepts as seen in Profiling target using cross_plot chapter. Events can occur, or notâ€¦ although we donâ€™t have tomorrowâ€™s newspaper ðŸ“°, we can make a good guess about how is it going to be. The future is undoubtedly attached to uncertainty, and this uncertainty can be estimated. For now, this book will cover the classical: Yes/No target -also known as binary or multiclass prediction. So, this estimation is the value of truth of an event to happen, therefore a probabilistic value between 0 and 1. Please note this chapter is written for a binary outcome (two-label outcome), but multi-label target can be seen as a general approach of a binary class. For example, having a target with 4 different values, there can be 4 models that predict the likelihood of belonging to particular class, or not. And then a higher model which takes the results of those 4 models and predict the final class. Some examples: - Is this client going to buy this product? - Is this patient going to get better? - Is certain event going to happen in the next few weeks? The answers to these last questions are True or False, but the essence is to have a score, or a number indicating the likelihood of a certain event to happen. Question: Is this person going to have a heart disease? Question: What is the likelihood for this person of having heart disease? So first we get the score, and then according to our needs we set the cut point. And this is really important. 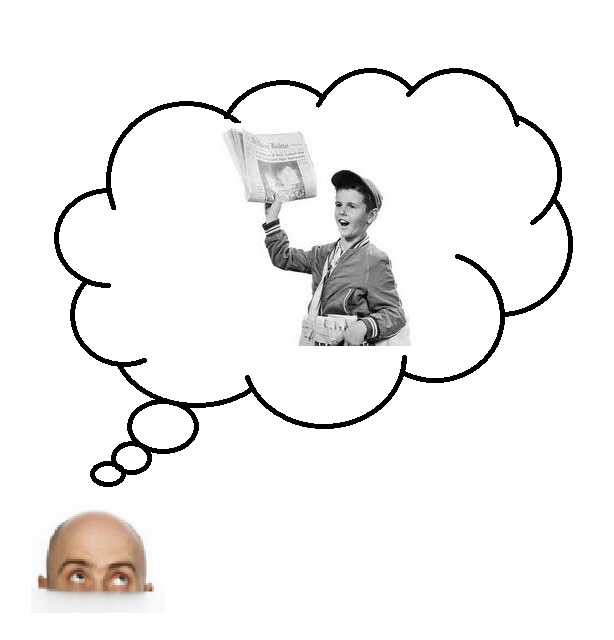 Forgetting about input variablesâ€¦ After the creation of the predictive model, like a random forest, we are interested in the scores. Even though our final goal is to deliver a yes/no predicted variable. Maybe it is understood, but the score usually refers to the less representative class: yes. Please note for other models this syntax may vary a little, but the concept will remain the same. Even for other languages. 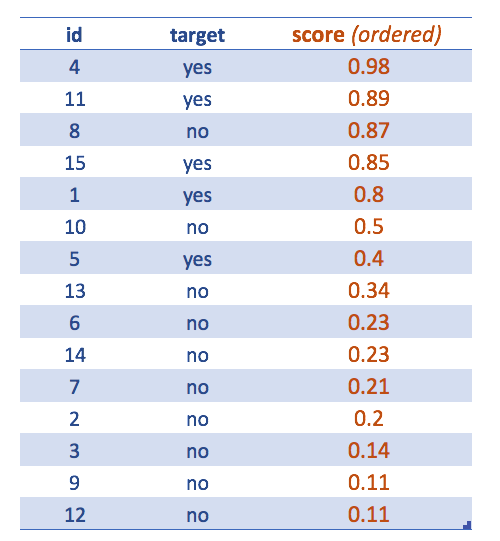 Where prob indicates we want the probabilities (or scores). The predict function + type="prob" parameter returns a matrix of 15 rows and 2 columns: the 1st indicates the likelihood of being no while the 2nd one shows the same for class yes. Since target variable can be no or yes, the [, 2] return the likelihood of being -in this case- yes (which is the complement of the no likelihood). Now the table is ordered by descending score. This is meant to see how to extract the final class having by default the cut point in 0.5. Tweaking the cut point will lead to a better classification. Accuracy metrics or the confusion matrix are always attached to a certain cut point value. âœ… True Positive (TP): Itâ€™s true, that the classification is positive, or, â€œthe model hit correctly the positive (yes) classâ€�. âœ… True Negative (TN): Same as before, but with negative class (no). Just like Zen does, the analysis of the extremes will help to find the middle point. ðŸ‘� The best scenario is when TP and TN rates are 100%. 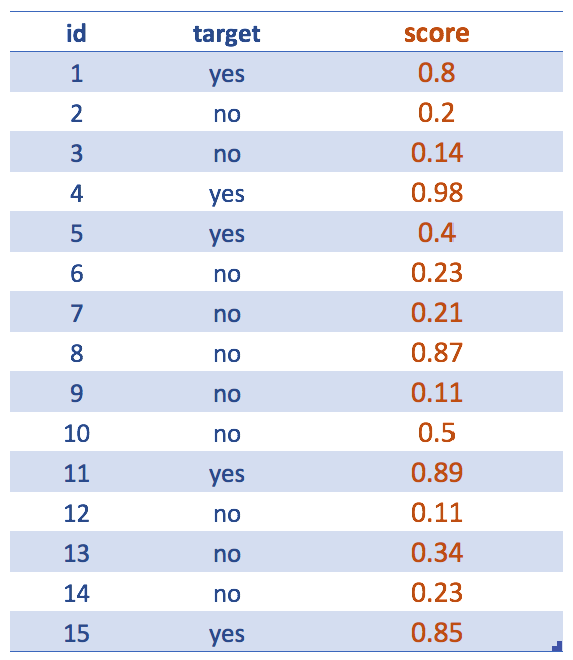 That means the model correctly predicts all the yes and all the no; (as a result, FP and FN rates are 0%). But wait âœ‹ ! If we find a perfect classification, probably itâ€™s because of overfitting! ðŸ‘Ž The worst scenario -the opposite to last example- is when FP and FN rates are 100%. Not even randomness can achieve such an awful scenario. Why? If the classes are balanced, 50/50, flipping a coin will assert around half of the results. This is the common baseline to test if the model is better than randomness. In the example provided, class distribution is 5 for yes, and 10 for no; so: 33,3% (5/15) is yes. â�“ Trivia: Is a model which correcltly predict this 33.3% (TP rate=100%) a good one? Answer: It depends on how many â€˜yesâ€™, the model predicted. A classifier that always predicts yes, will have a TP of 100%, but is absolutely useless since lots of yes will be actually no. As a matter of fact, FP rate will be high. A classifier must be trustful, and this is what ROC curves measures when plotting the TP vs FP rates. The higher the proportion of TP over FP, the higher the Area Under Roc Curve (AUC) is. The intuition behind ROC curve is to get an sanity measure regarding the score: how well it orders the label. Ideally, all the positive labels must be at the top, and the negative ones at the bottom. model 1 will have a higher AUC than model 2. Weâ€™ll be analyzing three scenarios based on different cut-points. What is the percentage of yes thrown by the model? 40%. The model throws 4 out of 10 predictions as yes, and from this segment -the yes- it hits 80%. 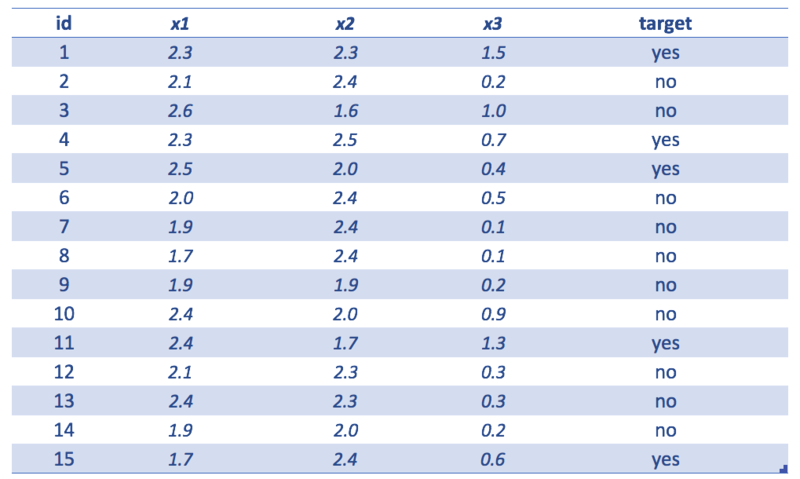 Another view: The model correctly hits 3 cases for each 10 yes predictions (0.4/0.8=3.2, or 3, rounding down). Note: The last way of analysis can be found when building an association rules (market basket analysis), and a decision tree model. Now the model captures 100% of yes (TP), so the total amount of yes produced by the model increased to 46.7%, but at no cost since the TN and FP remained the same :thumbsup:. Now the FP rate decreased to 10% (from 20%), and the model still captures the 80% of TP which is the same rate as the one obtained with a cut point of 0.5 :thumbsup:. Decreasing the cut point to 0.8 improved the model at no cost. This chapter has focused on the essence of predicting a binary variable: To produce a score or likelihood number which orders the target variable. A predictive model maps the input with the output. There is not a unique and best cut point value, it relies on the project needs, and is constrained by the rate of False Positive and False Negative we can accept. This book addresses general aspects on model performance in Knowing the error. Hyndman, Rob J. 2017. â€œARIMA Modelling in R.â€� https://www.otexts.org/fpp/8/. Wikipedia. 2017d. â€œWhite Noise - Time Series Analysis and Regression.â€� https://en.wikipedia.org/wiki/White_noise.